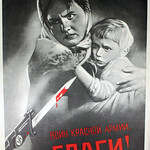 Home » Galleries » Past Shows » 2012-2013 » Preus Library » "Propaganda of The Great Patriotic War"
Known in the former Soviet Union as the "Great Patriotic War," World War II was one of the largest military confrontations in history, resulting in as many as 10 million Soviet military deaths. 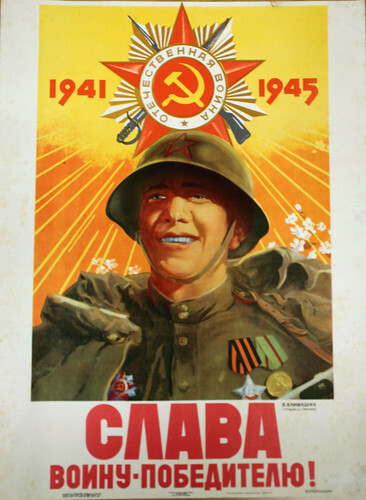 Immediately following the German invasion of the Soviet Union on June 22, 1941, artists of the state-run Telegraphic Agency of the Soviet Union (TASS) took action, creating large-scale propaganda posters to encourage patriotism and boost morale. 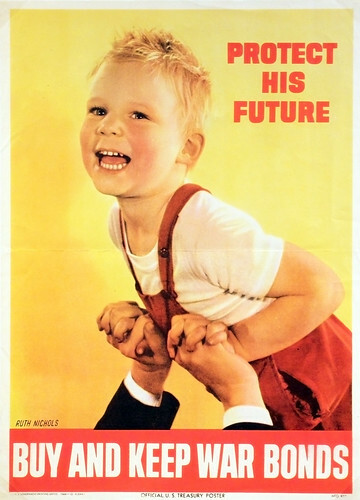 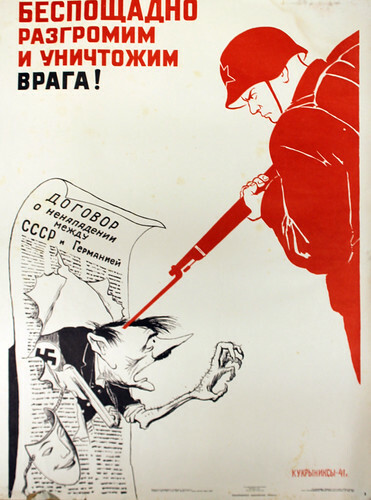 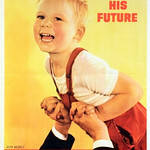 Anti-German, pro-Soviet Union posters were printed in the millions during the four years of World War II. 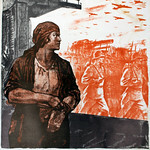 Along with working to instill patriotism in viewers, the work of these Soviet artists was sent abroad as ambassadors to the other Allies, including Britain and the United States. 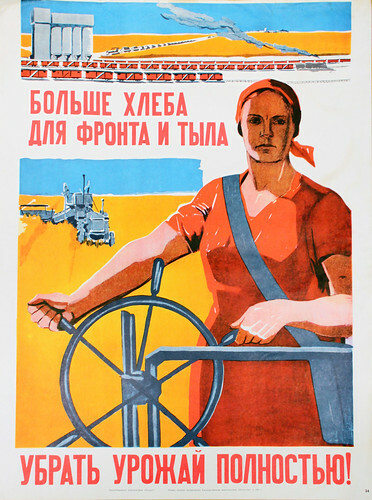 While these images are less familiar in the western world than American propaganda of World War II, the Russian posters mark a significant touchstone in the history of graphic design. 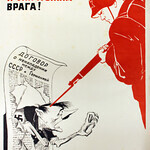 Powerful in message and image, the posters are filled with caustic caricatures of the German invaders and heroic representations of Soviet Union soldiers and supporters of the Soviet regime. 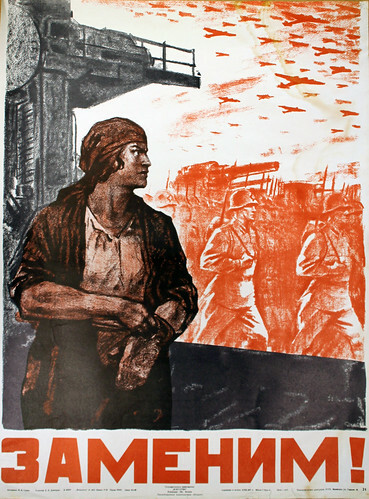 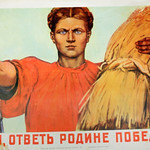 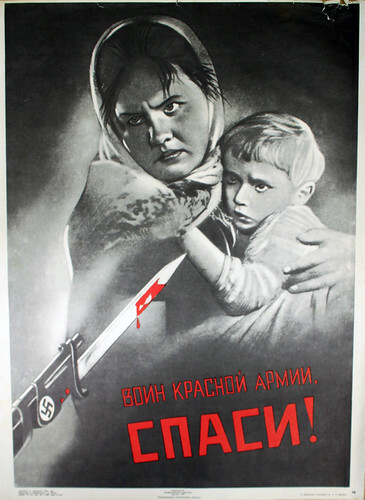 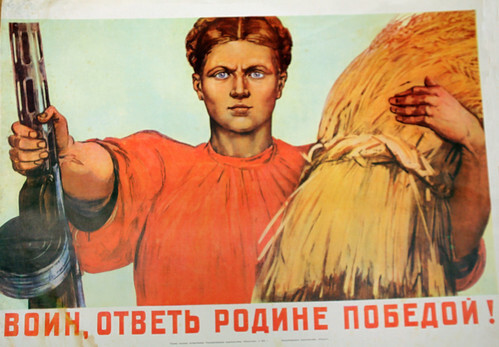 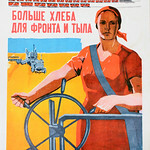 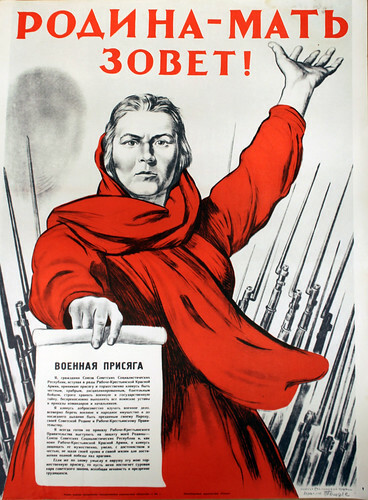 The poster reprints in the show represent only a small sample of hundreds created to advance the war efforts and strengthen support on the Soviet home front. 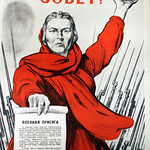 Luther College Professor Emeritus Richard Cole purchased these posters in 1975 in Leningrad (now St. Petersburg). 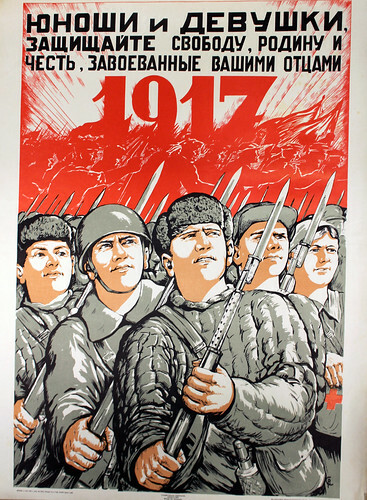 They were reprinted in commemoration as part of the 30-year anniversary of Soviet victory over Germany. 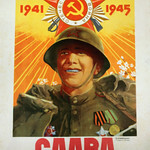 Used to educate and influence, propaganda was used to mobilize entire nations on all sides during World War II. 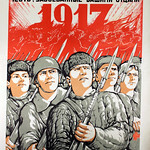 Thank you to Professor Emeritus Richard Cole for his donation to Luther College and alum Greg Siems (LC '12) for translation.